HockeyNow is pleased to announce the winners and finalists of our third annual Fans’ Choice Awards. Just as their name suggests, the awards are determined by fans across Canada, who once again showed up to vote for their hockey favourites. The awards were created to give Canadians the chance to honour the country’s best hockey destinations, manufacturers, equipment, companies, leagues, tournaments, schools and more. Over the last month, we tallied thousands of votes cast in 23 categories – and also added some worthy candidates to our lists based on reader suggestions. And, of course, due to the abundance of top notch hockey products and organizations out there, we saw a number of tight races in several categories. We’re thrilled to have the opportunity to recognize the winners our readers have chosen as their national and provincial favourites. The fans have spoken. 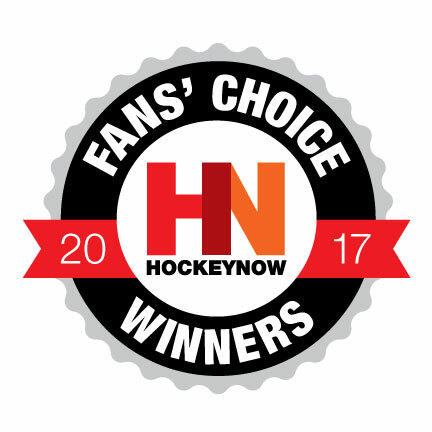 Thank you to the readers who showed their support to their top hockey picks, and our congratulations to the winners and finalists of the HockeyNow 2017 Fans’ Choice Awards. Click here to see the 2016 HockeyNow Fans’ Choice winners and finalists. Click here to see the 2015 HockeyNow Fans’ Choice winners and finalists.